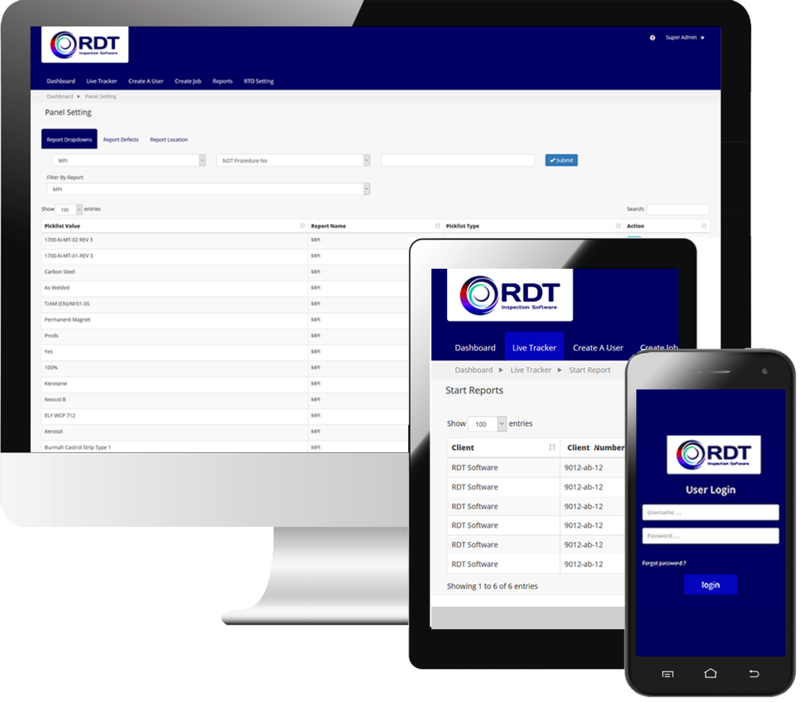 RDT Software are experts in providing innovative, cloud-based software reporting solutions to both the offshore and onshore industry sectors. We are a leading bespoke software development company with a proven track record of designing and developing innovative and robust, tailor-made software solutions to automate business-critical processes. Our strong track record in custom software development spans across multiple industries, from manufacturing to pharmaceuticals and oil and gas, with projects ranging from the likes of secure government platforms, to large-scale consumer facing web applications, ensuring that we are able to deliver effective, scalable and robust solutions that match unique requirements, timescales and budgets. Alongside our focus on collaboration is our focus on the value of transparency throughout bespoke software development projects, as we understand that in the majority of cases, we are managing business-critical processes and data. Allowing you full visibility across projects, we allow you to choose the level of engagement most appropriate to your situation; from participating in planning sessions, to reviewing feature backlogs and test results. In order to be transparent, we use standard platforms such as Microsoft Visual Studio Team Services Online, enabling you to track development progress, clarify requirements and suggest changes and additions to your custom software development project. We place a strong focus on the value of collaboration from the offset and throughout the bespoke software development project process. Prior to commencing custom software development projects, we aim to work with your project leads and key stakeholders in order to gain a thorough understanding of business processes, workflows and operations to allow us enable us to fully participate in the analysis of your project requirements, ensuring that each piece of functionality is clearly aligned with business objectives. This collaborative approach continues throughout the bespoke software development process, with our teams maintaining constant communication to gain clarity on new and existing requirements. How it Works Flexible design – tough on integrity create-ndt-report Create Create clients, managers, technicians, jobs, spools and projects. All the elements you need to produce professional NDT inspection reports. Inspect and edit reports. Manage all of your NDT inspection reports in one place and collaborate with team members. Accept, reject and sign off reports using digital signatures. Notify clients. Create and manage invoices.